The managed services market size is expected to grow from $152.45 billion in 2017 to $257.84 billion by 2022. Growing IT infrastructures, increased compliances, and the increased adoption rate in small and medium-sized businesses are some of the main driving factors for the growth in managed IT services. Businesses are adopting managed IT to improve operational efficiency; however, some businesses are still hesitant to adopt managed IT because of myths about the service. Below we have addressed 4 common myths about managed IT. Hiring an in-house managed IT team is extremely expensive. You need to hire an appropriate-sized staff that is skilled in specific IT functions and who will keep up with emerging technology trends. Skilled IT people and resources can be costly and hard to find. With a managed service provider (MSP) you are guaranteed top experts skilled in various IT areas who are proactively monitoring and supporting your system and staying on top of technology trends. MSPs proactively work to keep your network running with fewer issues. This means there is a fixed, monthly cost, and you don’t have to pay every time an issue occurs. Different industries have varying averages for the number of full time IT employees as a percent of total employees. For example, Gartner research found that the industry average for the number of full time IT employees among insurance providers is 12.7% of total employees. So, if there is an insurance provider with 66 employees, the total number of full time IT employees would be 8. In the Cincinnati metro area, that is equivalent to $576,000 spent on annual salary alone for your IT staff. Evaluating from a per user perspective, that is equivalent to $8,727 per year ($727 per month) spent on IT. MSPs can provide a much lower cost per user than a fully staffed in-house team. Not only can MSPs handle all aspects of your IT needs, they can also supplement your day to day IT needs working in conjunction with your existing IT staff. Having your internal IT staff handle functions and tasks they have little expertise or experience with decreases productivity and time spent on strategic planning. Managed IT enables your staff to spend their working hours on what they excel at, with a MSP filling in the gaps by providing specialized services where they’re needed most. There are many different IT functions that a MSP can provide, and providers offer different services and support levels. Some MSPs choose to compete on cost, others on what's included, and the remainder on a combination of the two. Identifying where the gaps in your internal IT functions are is important if you want to effectively evaluate potential MSPs and choose the right provider for your business. If you don’t have your IT gaps identified or if you’re not sure how to identify your IT gaps, a MSP can help you. 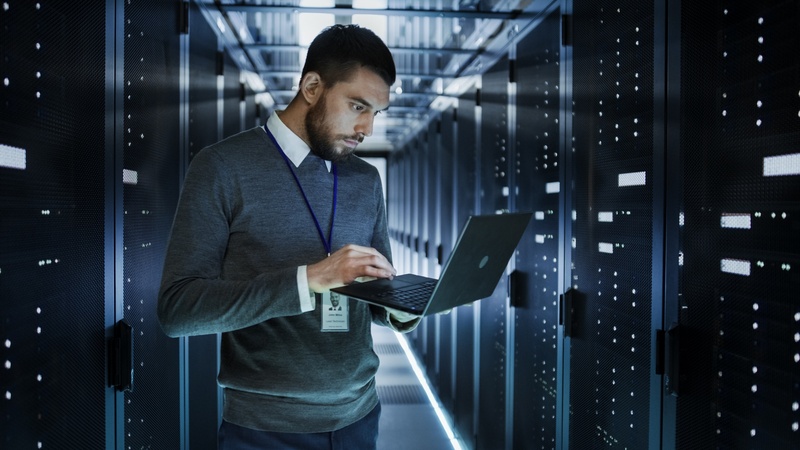 Whether you’re wanting to improve security, have better uptime, or take a proactive approach to IT problems, managed IT can provide supplemental IT functions that your business needs the most. Don’t let these myths keep your business from elevating your IT infrastructure and adopting managed IT.